FTT Medical Manufacturing is a medical products contract manufacturer committed to serving the special needs of the medical/dental industry. As an ISO 13485 registered contract manufacturer, we have the necessary infrastructure to guarantee your product is manufactured consistently from the beginning. From Prototyping and Pilot Production to full service Medical Device Contract Manufacturing, we have a solution to fit your needs. Whether you are developing a new product or improving an existing product, FTT partners with your engineering and production personnel seamlessly. We have the capability to work with our customers at all levels. FTT has collaborated successfully from simple prototype to complete machine development. FTT supports our customer's short run production requirements in hopes of developing a relationship that grows as our customers business grows. 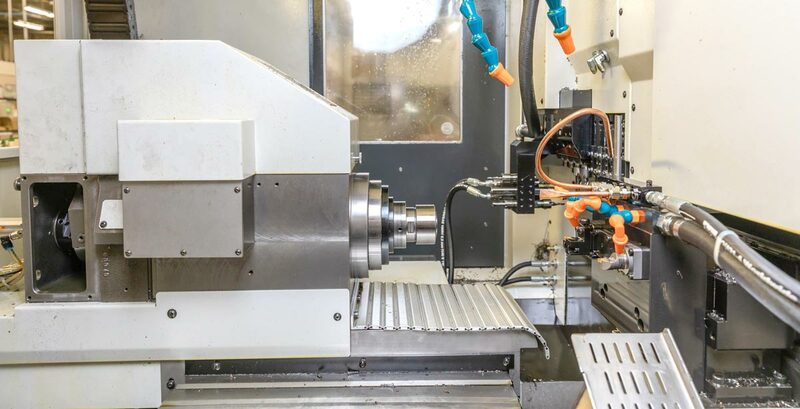 FTT maintains a substantial toolroom environment to support prototyping, fixture build, and short run manufacture both for our customers and for our internal automation build requirements. FTT Manufacturing's core business is precision machining of components for its customers products. We partner with customers (to help them succeed at every level by providing the manufacturing resources and processes) to make their program goals attainable. FTT has a solid record of service to customer companies. We typically provide turnkey support; from managing a customers material supplies, then manufacturing complete with heat-treat and plating, to assisting in managing our customer's inventory. FTT works in all types of material but considers itself to have a specialty in the machining of castings and near net shop technologies. We develop creative reliable processes around our ability to produce accurate reliable fixturing. FTT Manufacturing has made a commitment to having an ISO 13485 registered quality management system that is FDA:QSR compliant and ensured your products manufactured to the highest possible standards. It Start with asking the right questions and defining a manufacturing plan that controls variables. We pick the right engineer, the right machine, and right tools to build perfection from the start. Our Account Managers own your project from quote to delivery so you don't have to talk to multiple people to get an answer. Each Account Manager has years of bench experience and can offer critical Design for Manufacturing feedback to ensure the most cost effective long term approach for your product line. FTT's owner and president sent over 15 years working for top medical device companies. Having this unique view makes us different from most competitors and allows us to understand your specific needs. Superior products start with FTT developing the right process for meeting your product goals. Quality does not just happen, it's a planned process from the beginning. We understand that our customers' expectations are high and quality dictates everything we do in every step of the manufacturing process - from collaboration, prototype, process development, to final product manufacturing and delivery. FTT Medical supports projects from prototype development to volume CNC production with equal ease. We have the manufacuring and engineering expertise to assist our customers at all levels of product manufacturing. Please click on a link to the right to learn more about our Medical Manufacturing capabilities.